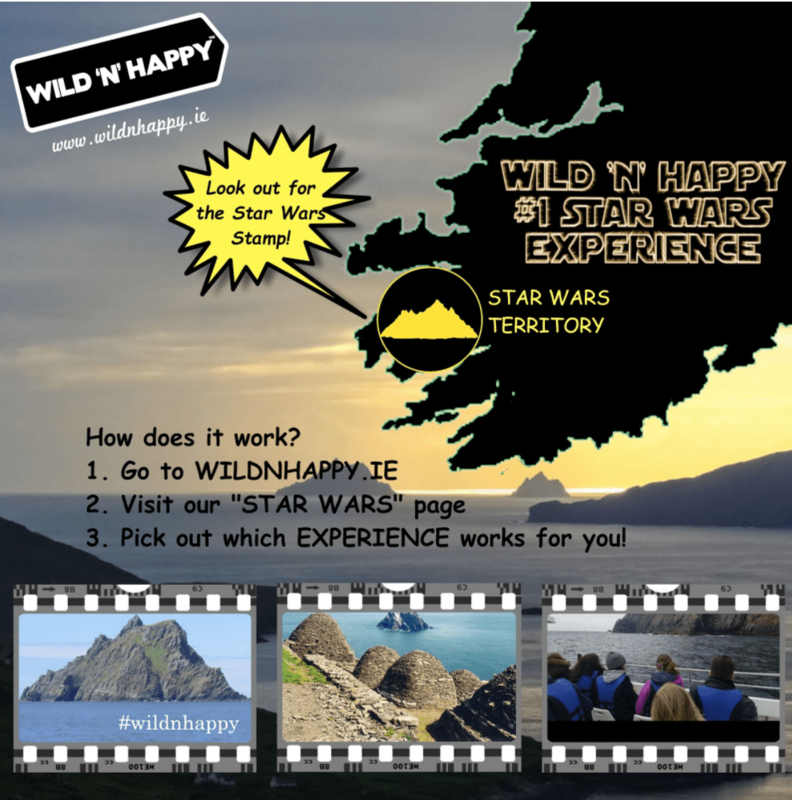 Wild ‘N’ Happy has several Star Wars related tour options coming to you next year! There is a tour option for just about every person’s cup of tea, whether it’s wookie tea, Chewbacca brew, or luke skywater! Just go to our “Star Wars” themed page and explore away. You can hop on a tour from either Killarney or Dublin, which will bring you down to Portmagee where you will choose between a boat tour to Skellig Michael, the island where The Force Awakens was filmed, a boat tour around both Skellig Islands, or an experience on the mainland filled with stories, costumes, and a tour of where the film crew lived and ate. Your tour will also take you along the Ring of Kerry, a beautiful coastal drive filled with history and culture, as well as breathtaking landscapes and interesting wildlife. So what does Star Wars exactly have to do with any of this? 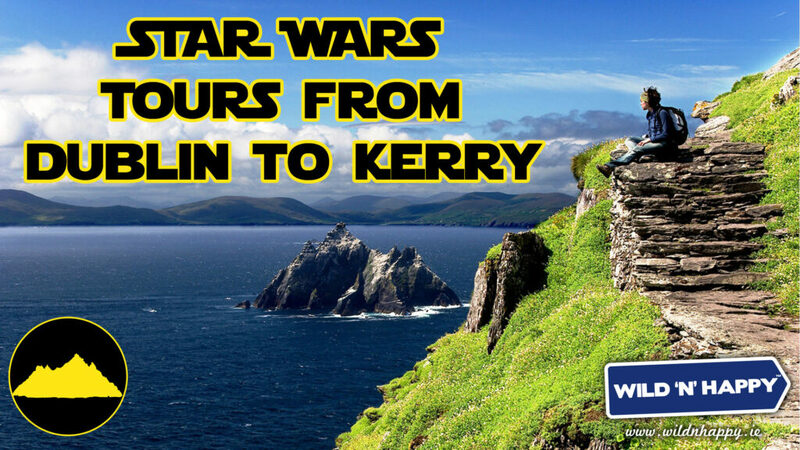 Well, the ending scene of Star Wars Episode VII: The Force Awakens and several scenes in the Star Wars: The Last Jedi were filmed throughout the Skellig Islands, as well as parts of South Kerry and beyond along the Wild Atlantic Way. Port Magee is one of the main stops on our tour because it was home to the editing team! The pre-production room itself resides in the Bridge Bar which also happens to be where Mark Hamill learned to pour his first guinness. 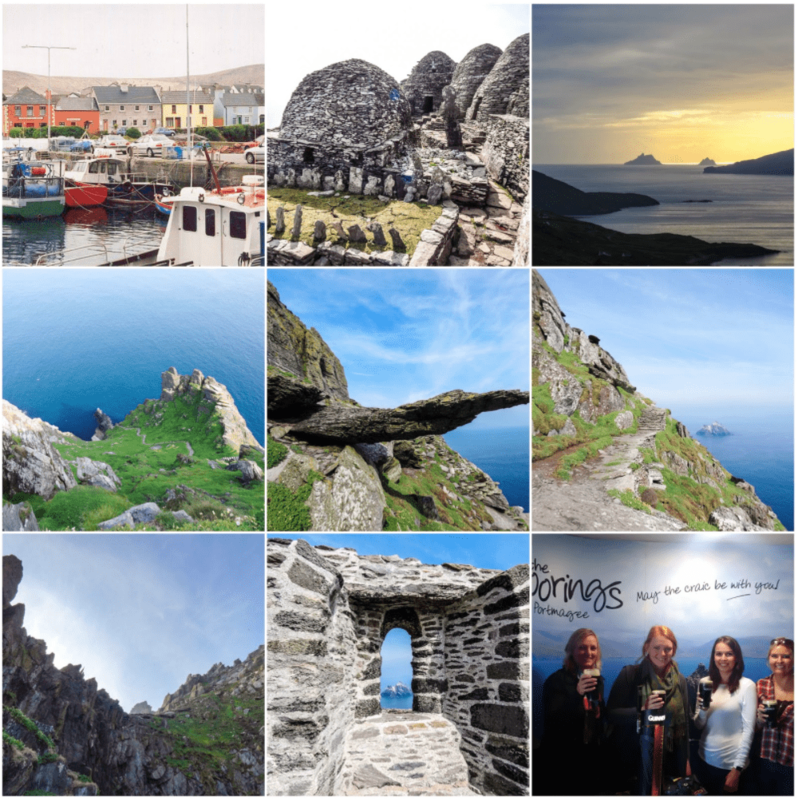 Lots of fun facts, out of this world beauty, and more lie in South Kerry!